Are they reading down to the bottom ? 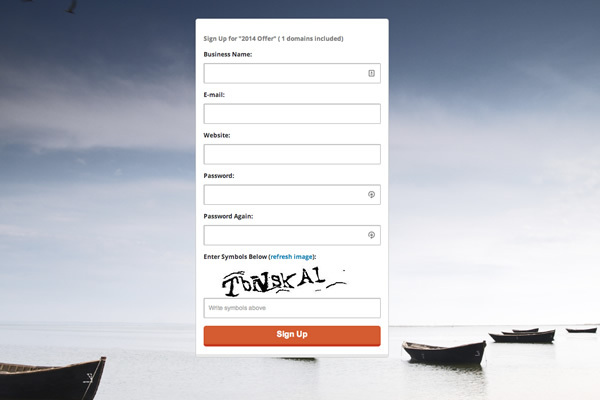 Are they interested in your call-to-action ? Are they clicking where you'd expect ? 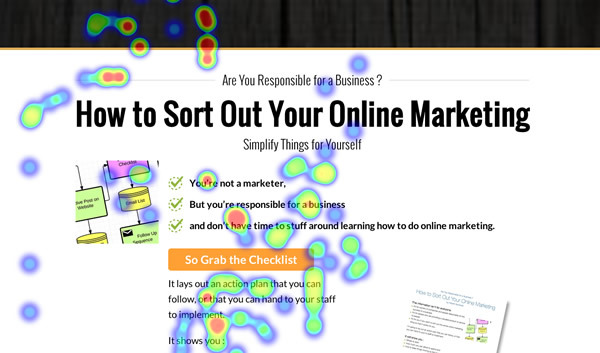 The image above is of a heatmap that shows people clicking the text on the left, more than the button !!! So we made the left text clickable too. When you know what’s happening on a website page, then you can adjust it and take control. Heatmaps combine multiple visits to a page to display where people’s cursors are moving (which is a good indication of what they’re looking at) what they’re clicking on and how far down the page they scroll. Blobs of red are highest frequency, which decreases into yellow and purple. Heatmaps & session recordings allow you to see what your website visitors are concentrating their attention on. They're invaluable in increasing the performance of your website. We invested in out own heatmap-tracking session software which is a bit easier to use than other services we tried : it also updates in real time, which most don't unless you upgrade and pay significantly more. If you’d like to try heatmaps and session-recording you can try out our software for $13 a month by clicking here. Online marketing is a fast action. You drive traffic to a website page and need to see what’s happening right away so that you can adjust the offer and improve results.